I didn't know the 16s were from Matt, just the Paydough and Dud. Oh, I didn't know that I didn't reference him before. You're welcome! Glad I could get you started down that path...and congrats on your 1-15. Big accomplishment! Thanks! I really like the puzzle. Maybe I'll start piecing the puzzles together for a true 1-15. I have many extra mid series puzzles you could have affordably. If anyone has an extra promo pack from yesterday, send me a PM. I need it for a member that couldn't attend. That is nice! Tough title to find centered like that. Congratz! Nice seeing you all again. Thanks for going. It was a great show!! Sweet score! It was great to chat with you, and your dad, about Wackys and music! I hope you guys can make it to the Spring show! 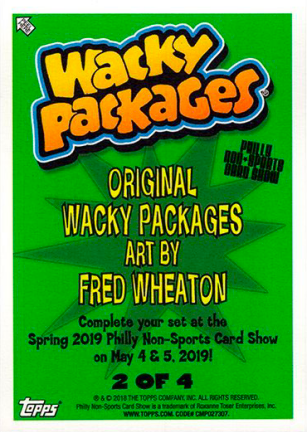 While this pack was NOT a show purchase, it was part of a few unopened pack discussions that arose during the course of the weekend. I promised Mark (NationalSpittoon) that I would post a photo of it. This pack was a $30.00 purchase, that I made through the "Wrapper" magazine, back in 1986. I am planning, as always, to go to the Spring show. Hope to see you there! And that diecut pack is... immaculate! And here are the two official Topps cards that were given out during the dinner. Part of a set of four, with the next two at the Spring show dinner. 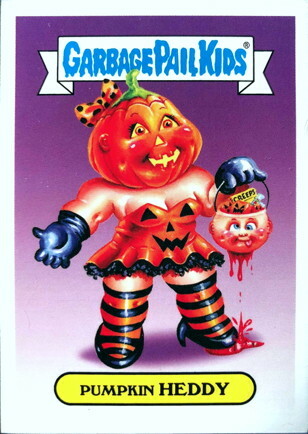 The cards are connected, with the Creeps package in Heddy's candy bucket, and Heddy as a peep in the Creeps package. 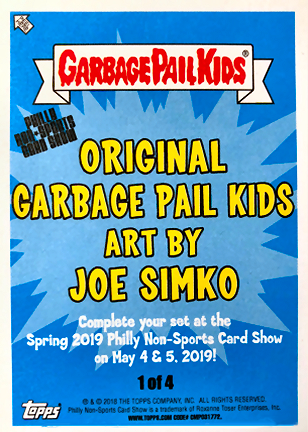 Limited to 100 cards. I will be at the spring show as well! Good observation, Patrick. Do we know who the other three heads are? That is, are they somebody famous? 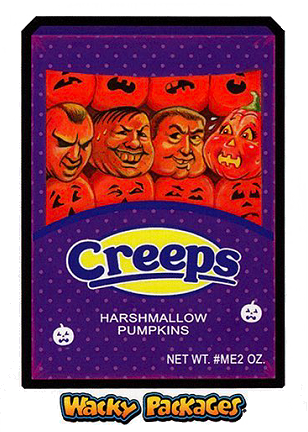 from the GPKWorld site: Both titles had to be reviewed by Topps and their lawyers; interestingly, they asked if the CREEPS faces were modeled after any real-life people; they weren't. That Die Cut pack is really nice and to top it off it was pretty cheap comparable to today's prices. Hope to make the next show.